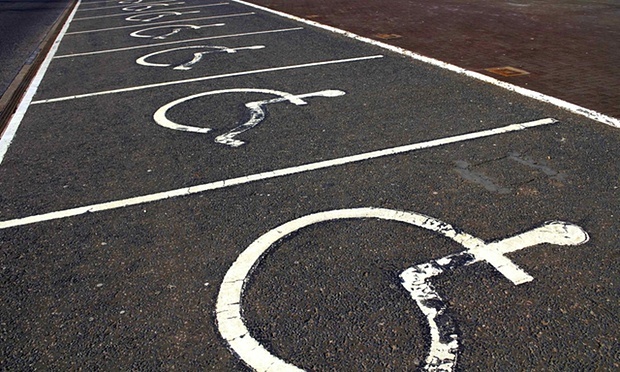 Where a Claimant is classed as ‘disabled’ following an accident, this has important implications on the calculation of their damages. Claimant lawyers need to carefully consider whether their client could potentially be classed as disabled. Failing to recognise this could mean that their client is under-compensated. Disability has the most significant impact on the way in which future loss of earnings is calculated. The question of whether or not someone is disabled is a matter for the court, not the experts, to determine. their condition affects either the kind or the amount of paid work they can do. Evidence will be needed in order to establish each of the above conditions. The second condition (whether a person has an impairment that substantially effects their ability to carry out normal day-to-day activities) can often be a contested issue between the parties. This Equality Act 2010 definition appears at section 6(1)(a) of Act. Also section 212 of the Act defines “substantial” as “more than minor or trivial”. It is not for experts to tell the court whether the impairment is substantial. Nor is it for experts to express an opinion on what normal day-to-day activities are. These are matters for the court to consider. The case of Billett v Ministry of Defence  EWCA Civ 773 provides guidance as to the court’s interpretation of the Equality Act 2010 definition. Here the Court of Appeal upheld the first instance finding that Mr Billett was in fact disabled. In 2002, Mr Billett joined the army and trained as a lorry driver. In 2009, he took part in an exercise where he spent six days living outdoors in snow and freezing temperatures. Mr Billett suffered a non-freezing cold injury (NFCI) to his feet after the army failed to supply him with suitable footwear. He subsequently became permanently sensitized to the cold. His feet would become painful in cold conditions. Despite his injury, Mr Billett was deemed medically fit for deployment in 2010. However, he left the army in 2011 for family reasons, unconnected with his injury. In the Court of Appeal, the Ministry of Defence (MOD) argued the fact that the Mr Billett was medically deployable and that he had not reported any difficulty in working full time as a lorry driver. The MOD also highlighted that he was still capable of indulging in his hobbies of fishing and clay pigeon shooting. Jackson LJ acknowledged the MOD’s submissions. However, he held that the focus should not be on what the Claimant could do, but instead on what he could not do. The established evidence was that Mr Billett was restricted in carrying out gardening and DIY in cold weather, playing rugby and swimming and playing with his children outside when it was cold. These effects were not classed as trivial and were therefore enough to satisfy the ‘substantial’ adverse effect test. So Mr Billett’s condition qualified as a disability, but only just. Where a Claimant satisfies the test for disability, this has a significant impact on their future loss of earnings claim, as can be demonstrated by a simple comparison of Tables A and C against Tables B and D of the Ogden Tables. Tables A to D were introduced in the sixth edition of the Ogden Tables in 2006. They were brought in to take account of contingencies other than mortality. They made the potential reduction factor in a claim for future loss of earnings much greater. In Billett v MOD the Claimant suffered from a relatively minor disability. He was able to continue working as a lorry driver for a haulage firm after leaving the army, despite the continuing symptoms in his feet. He was also able to continue earning his pre-accident level of wages. The only problem he encountered at work was difficulty pulling down the shutters of his lorry in cold weather. The Court of Appeal considered how Mr Billett’s claim for loss of future earning capacity should be assessed under such circumstances. There were essentially two different approaches open to the Court. The Claimant argued for the scientific approach of using the Ogden Tables. Whereas, the MOD’s case was that under such circumstances a rough and ready Smith v Manchester award should be granted to compensate the Claimant for being disadvantaged of the open labour market. The Smith v Manchester award is the lesser of the two and typically ranges from 6 to 12 months earnings. The Court of Appeal supported the MOD’s argument, stating that the use of the Ogden Tables was not appropriate. Instead it was ruled that the broad brush approach of the Smith v Manchester award would be realistic, as Mr Billett was on the outer fringe of being disabled and because his disability affected his ability to work much less than his activities outside work. Mr Billett’s £99,000 award for loss of future earning capacity (using the Ogden Tables) was subsequently reduced to a Smith v Manchester award of £45,000. This equated to just over two years of net earnings. Although the Court of Appeal concluded that the application of the Ogden Tables was not appropriate in the Billett case, it did set out an alternative method for calculating such future loss of earnings by adjusting the reduction factors in Tables A to D to reflect the level disability. Claimant lawyers need to take detailed instructions from their clients in relation to the impact that their injury has on their day-to-day activities. Statements from the client’s family, friends and colleagues may also prove very useful and supportive of the claim. Medical experts should then be asked to comment on this evidence. Even if the client has returned to full time employment at the same level of pay, this does not necessarily mean that they are not disabled for the purposes of justifying a future loss of earnings claim. The case of Billet v the MOD highlights defects in Tables A to D. It was once thought that these would be the starting point for assessing such claims for future loss of earnings. However, the Billett case has placed less emphasis on the higher Ogden Table awards and more on the lower Smith v Manchester awards, when a Claimant has a minor disability. It’s a shame that such a rough and ready approach is being used to assess future loss of earnings. We will have to wait and see whether this can be remedied by future editions of the Ogden Tables and endorsed by the courts.